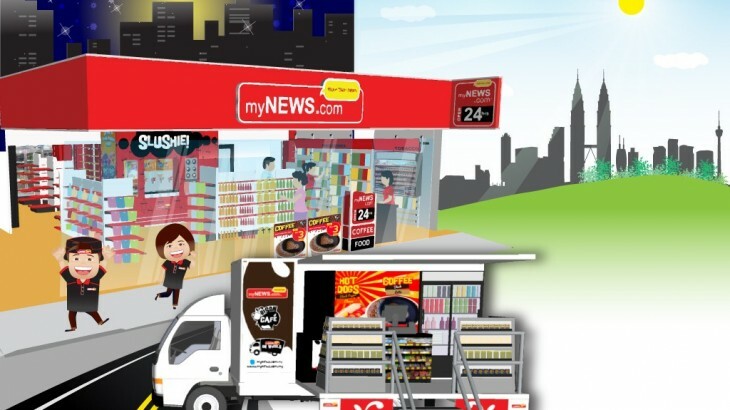 We operate a chain of over 200 outlets under our trade-names myNEWS.com, Newsplus and Magbit. We are actively opening more outlets to provide easy access for our customers to our product and services. Our Mission is to provide the widest range and selection of press products to our customers at a reasonable price at easily accessible locations. Apart from having our outlets at popular shopping complexes, one could readily find us at the major hypermarkets stores such as Tesco, Giant and other chain supermarkets stores like AEON and Parkson. We have also established a network of outlets along the major transport lines such as the Rapid LRT stations, bus terminals and North-South Highway (PLUS). In order to bring us even closer to our customers, we have opened outlets at some of the modem office buildings and popular holidays resorts. We continue to maintain our competitiveness by creating innovative and quick to market products and providing value added customer services. Our customers are able to order titles online and pick up form our outlets of their choice. Besides books and magazines, our outlets also sell convenience merchandise such as stationery, phone reloads and tobacco products. You will also find a wide variety of beverages, titbits, cough drops, candles, chocolates, toys, greeting cards and other daily items that you need.